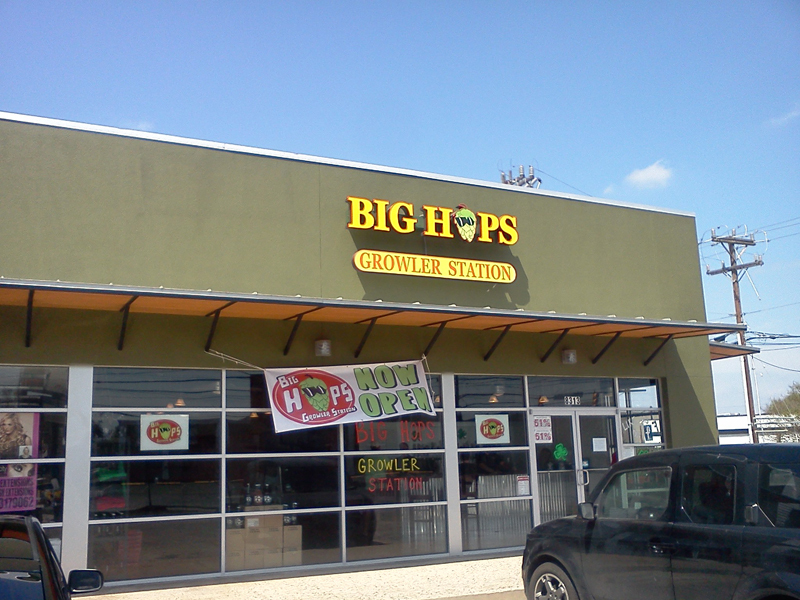 Saint Patrick’s Day, Sunday, slightly hungover, but I really wanted to leave the house and do some stuff including visiting Big Hops Growler Station. Let me tell you a bit about Bog Hops. What this place is, is a retail store mostly with a chance to enjoy beer on site. They have 23 taps to fill up growlers with your favorite Texas craft beer. If you have a growler at home, you can bring that in to get it filled, or they sell their own growlers, in 32oz and 64 oz bottles. 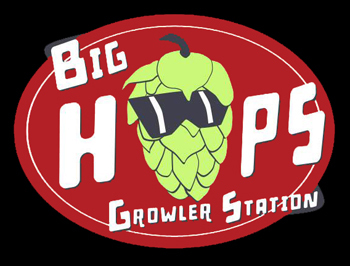 If you want, you could just venture into Big Hops, sit down at the bar, and enjoy a good craft beer pint, or get a sample of the beer before you choose which beer to take home in a growler. They also have a cooler where they sell Texas craft beer bottles. When I arrived at Big Hops, I was greeted right away by the owner, Rob Martindale, who not only introduced himself and shook my hand, but spent the time walking me through the place and explaining exactly how their operations work. Now I like to think I know a little bit about craft beer and how things work, but it was real refreshing to know that their mentality is educate the people. If you walk in there without any knowledge of craft beer, or growlers, or anything related to beer for that matter, they will ta ke the time to explain. I was told about other beers they have next in line for the tap wall, and I talked breweries a bit with the staff. Awesome atmosphere in this place! I knew I wanted to support these guys and spend as much as I could within reason, so I wanted to buy their own growler. So I ended up tasting a sample of a beer named 667 Neighbor of the Beast IPA (gotta love that name, eh, metalheads?) from a small unknown brewery to me called Lone Pint Brewery, from Magnolia, TX. This is a very good, hoppy IPA. A review will be up later this week about this beer. I also purchased a Big Hops t-shirt to show support while around town. I really hope this place will last forever, and have support from the local and abroad craft beer movement. Stop by and get yourself a growler, and let them know BeerMetalDude sent you! 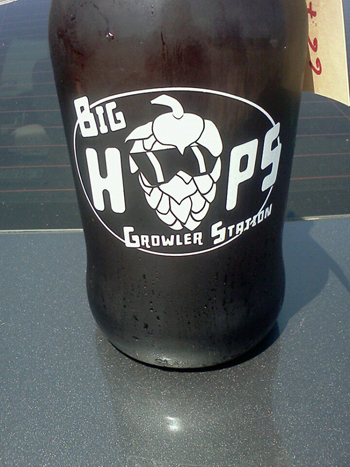 Click here to learn what the term “Growler” means.